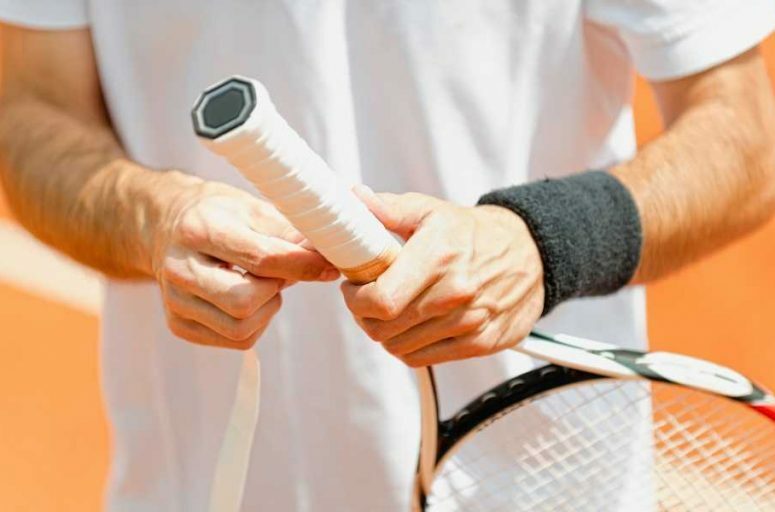 One of the most important elements to helping you win a tennis match is to keep your racket grip sturdy and strong. If you don’t, then you risk the racket flying out of your hands during a match and injuring yourself or people around you. 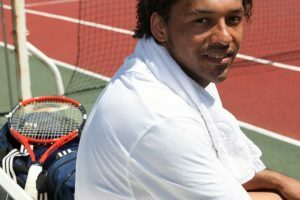 Nothing is worse than a racket flying out of your hands just as you’re about to make the winning serve. That’s why it’s important to check your grip after every single match. 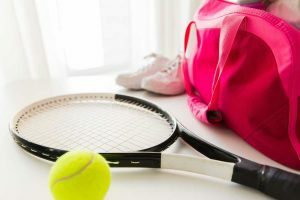 If you find that your tennis racket is starting to falter, then there are steps you can take to fixing the grip to be more sturdy. This is a more effective method than replacing your tennis racket every time the grip gets loose. 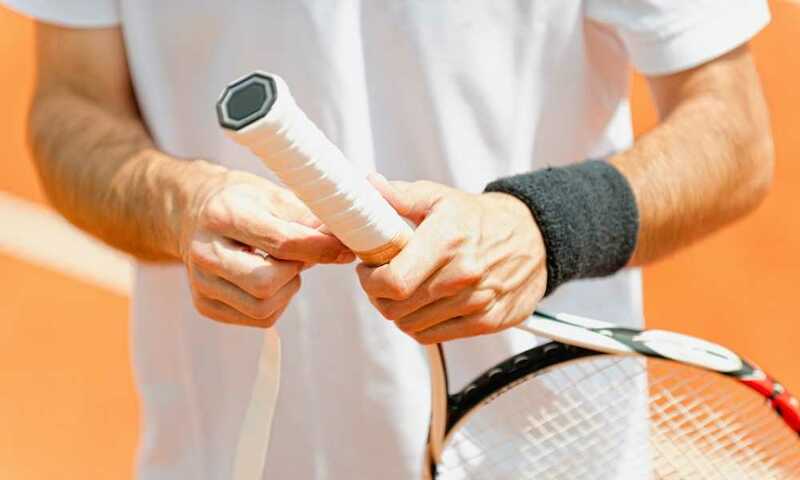 What is overgrip tape? 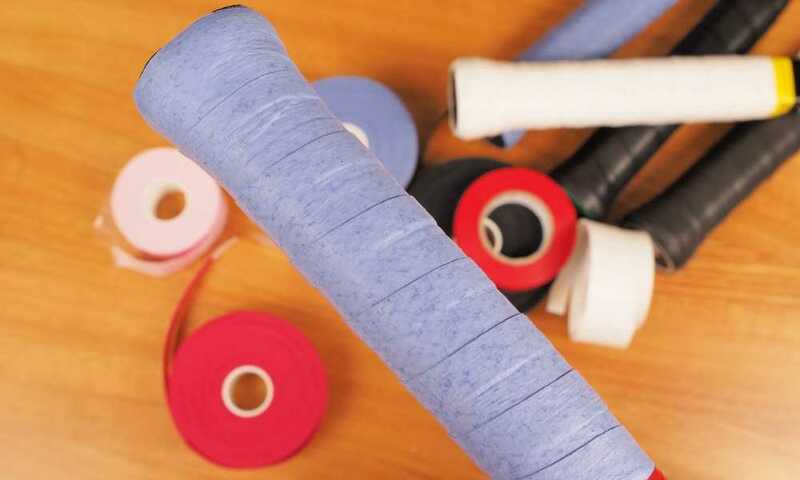 Overgrip tape is specially designed tape that can help improve the grip of your racket by wrapping it around it. Just like regular tape, one side is adhesive, while the other side is not. 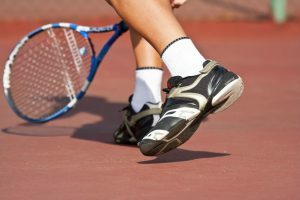 This is how most tennis players prefer to improve their grip. 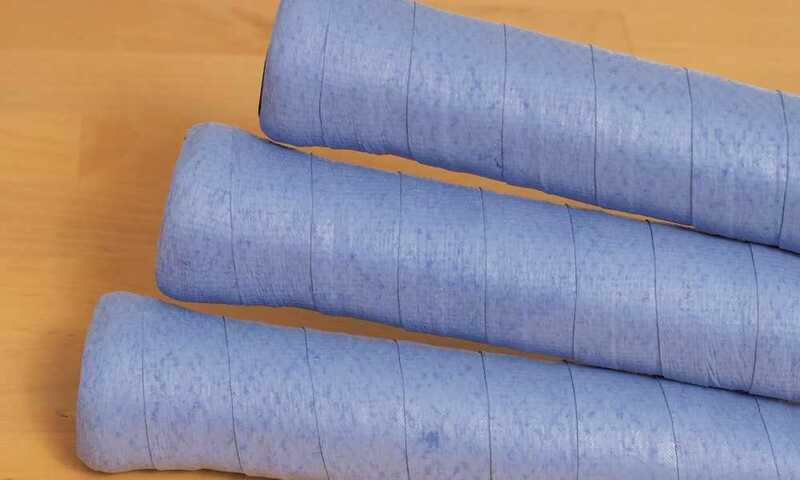 However, overgrip tape will frequently have to be replaced as it is prone to peeling or becoming sticky. You should also replace it often because it can absorb your hand sweat over time, yuck! Listed below is how to wrap a tennis grip. You’ll know when it’s time to replace your overgrip—when it starts to get sticky and starts to peel off of your base. The first step you need to take is to remove any of the old overgrip tape and start peeling it back from the top of the handle. From here, you need to secure the edge of the overgrip, and then unwrap it until the overgrip tape is completely removed. You’ll need to unroll another overgrip strip and remove the plastic from it. Depending on what type of overgrip tape you have, it may need to be secured in place with some tape, rather than just having adhesive on it. Many overgrip tapes come with one adhesive strip on the end of the roll. If your overgrip tape doesn’t have this included, then you should skip this step. However, if it does have this, then find the end of adhesive and take off the plastic slip. 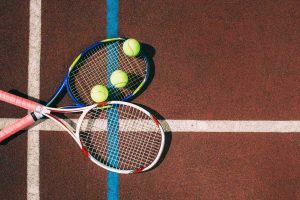 Using the handle of your tennis racket, place it up and place the end of the overgrip tape on top of the corner of the handle and wrap the overgrip tape from left to right and continue down at a slight angle. This usually goes better if you have an adhesive strip that you can place on top of the corner of the racket to keep the overgrip in place. Spin the racket around so that the overgrip is facing you, this way you can make sure you’re placing it right. 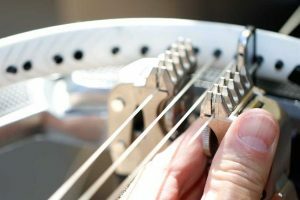 Keep the overgrip very taught, as this can help prevent any wrinkles or bumps. Once you make one wrap, you’ll want to continue to overlap and work your way towards the handle. These overlaps should be around ⅛ inches and ¼ inches. Keep spinning the racket and placing the overgrip over it to help maintain a consistent grip. Slowly work your way up to the top of the handle, making sure to keep the overgrip tape taught. As you don’t want to have any bumps or wrinkles in your tape. When you reach the end of the handle, you may then have to increase the overlap of the overgrip tape. This means going over it again with another layer of tape. To test if this is the correct amount of overgrip, swing it a few times. If it doesn’t feel right to you, then add on a bit more tape. You will need to secure the tape at the bottom and the top of the handle. This will prevent it from peeling in the future. Many times overgrip tape comes with an extra piece of tape that can be used to help secure it on both ends. If you don’t have this, then use a high-grade tape to help wrap around the ends and taking care not to get it in the way of the handle. As you can see, overgrip tape is very easy to use when it comes to improving your grip on your racket in tennis. It may take some practice, but it is a cheap and inexpensive way to get a better grip on your handle. 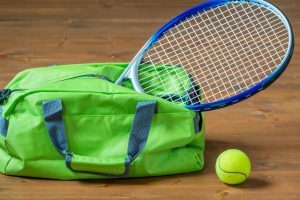 Why waste money on buying a tennis racket that will likely break after a few months of use? 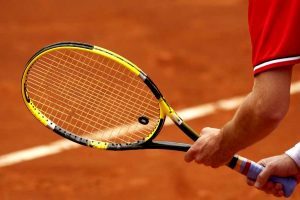 Why invest in a unique racket with ridges? These models are often harder to use, and many players swear that they prefer the hand-feel of the regular racket handles. This is why overgrip tape can be an essential ingredient for increasing your grip without wasting money. 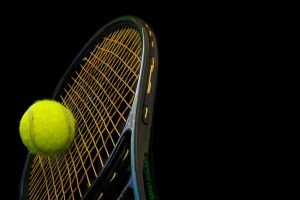 Hopefully, this article has helped you learn how to wrap a tennis grip.